Proposition #58 – Is Jo Hovind In Denial? – Kent Hovind v. Robert Baty – The Great Debates! 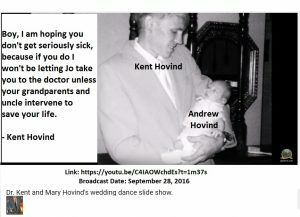 Home→Proposition #58 – Is Jo Hovind In Denial? Proposition #58 – Is Jo Hovind In Denial? This issue was raised, as some may recall, after Kent Hovind claimed he had heard certain things about me, Robert Baty, from reliable sources; things Robert Baty denied. I am still waiting for Kent Hovind to come out and face me and deal with those claims as well as the above claim regarding him and the cause of Andrew Hovind’s disabilities. The story came to me that Andrew’s disabilities trace back to a time when he was about 2 years old and began running a fever. It was reported that Kent refused customary and legitimate health care for him and the fever continued. After several days, it was reported, Jo Hovind, frantic, called Kent’s parents. Kent’s parents arranged for Kent’s older brother to step in, since he lived closer, and take some action. Supposedly, Kent’s older brother arrived at the home and threatened Kent if he did not allow him to take the child for medical care. And so the child received necessary, emergency, appropriate, and customary medical attention. The action may have saved Andrew’s life, but there were consequences which Andrew lives with to this day. Kent’s older brother died in 2012. Eric Hovind, Kent’s other son, had often wondered about Kent’s apparent estrangement from his older brother. During the funeral events Eric was provided with the answer to his question. Kent’s other brother and sister have also been estranged from Kent for many years. 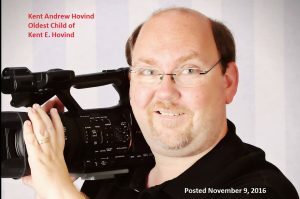 Rumor has it that, now that the issue has been raised, Jo Hovind has denied the story regarding Andrew’s disabilities. 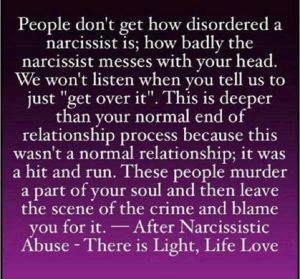 It may be a case of “denial”. It could be a tactic simply to avoid facing the truth and admitting to it. It might be a mental health issue by which Jo is simply symptomatic of just how much damage her former husband Kent has done to her over the years and her inability to face up to inconvenient facts. Maybe we will eventually learn more. The issue continues to remain for Kent to openly and honestly address. Jo is also welcome to face this issue openly and honestly and engage the discussion thereof.